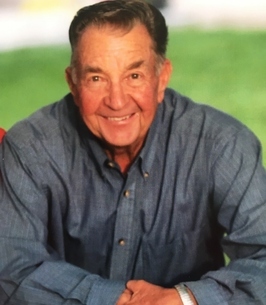 Jed Erwin Behling, age 85, passed away September 26, 2018 in Ferron, Utah. He was born on September 6, 1933 in Ferron to Richard and Frieda Boldt Behling. He married Karrie Lee Duncan on June 5, 1965 in the Manti Temple. She passed away on Aug 7, 2012. As an active member of the LDS Church, he served in numerous callings, including as a missionary in 1957 -1960 in the West German Mission, bishop, bishopric councilor, high councilor, stake executive secretary and as a Manti Temple worker. He also served active duty in the United States Army in Salzburg Austria from 1953-1955. He graduated from Utah State University in welding technology and worked on many welding and building projects in the Emery County area. He was a lifelong farmer and rancher and was a board member of the Ferron Canal and Reservoir Company. He is survived by his children: Kristie and Michael Gibbons, Keven and Amy Behling, Kim and Jeff Copinga, Brett and Anjelina Behling, Becky and Jared Beard, Kolleen and Hugh Christiansen, Kash and Kim Behling, sister Judy Stilson and 39 grandchildren, 3 great grandchildren. In addition to his wife, he was preceded in death by his parents, brother Norman Behling, sister Kay Prout and daughter Candice Behling. A viewing will be held on Friday, September 28, 2018 from 6:00-8:00 p.m. at the Ferron LDS Stake Center. Funeral services will be held on Saturday, September 29, 2018 at 11:00 a.m. with an additional viewing prior to the service from 9:00 a.m. to 10:30 a.m. in the Ferron LDS Stake Center. The burial will be in the Ferron City Cemetery. The family wishes to extend their thanks and appreciation to the nurses and staff at the Emery County Nursing Home. Family and friends may sign the online guestbook and share memories of Jed at www.fausettmortuary.com. 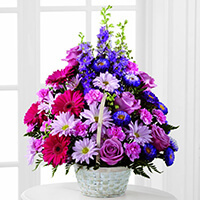 To send flowers to the family of Jed Erwin Behling, please visit our Heartfelt Sympathies Store. We encourage you to share any memorable photos or stories about Jed. All tributes placed on and purchased through this memorial website will remain on in perpetuity for future generations. The world has lost a wonderful man. He was close to my parents and had a positive influence in our lives. My condolences to you and your family. We will miss such a wonderful brother and uncle.